◆S2316 design using the functionality and the new art-design ideas, realized the man-machine integration of perfect operation concept. ◆ Dental unit using the classical built-in land design, is divided into upper, lower, the main box and instrument plate adopt advanced injection molding process, anti-corrosion, antirust and fadeless. ◆ Air negative pressure aspirator and water pressure saliva ejector are equipped with cleaning mesh device, sediment filtering device. 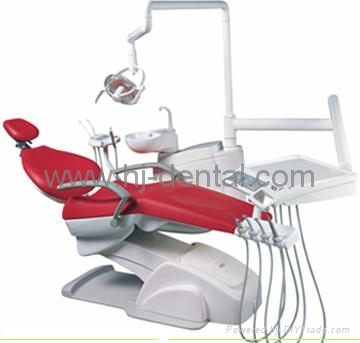 ◆ Dental chair power system adopts Denmark LINAK Linear mute motor, its work stability. ◆ The dental backrest and the dental chair are equipped with Safety protection devices: when a chair and chair encountered obstacles in the process of decline, the action is terminated and automatic marginally to ensure safe, avoid accidents. ◆ Safety locking system between unit and chair. 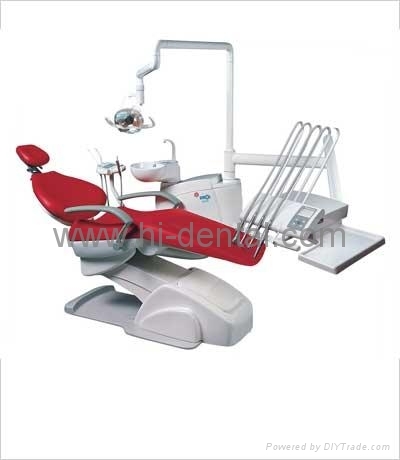 ◆ The dental chair is two-hand design, and the external hand can be opened as requirements. ◆ Inner pure water system, and meet the requirements of the water-off and piping disinfection.